Captain Technocast Limited is engaged in manufacturing of metal casting with high tensile, high-volume, complex thin-wall investment castings and fully-finished casting-based subassemblies and components. The company has been awarded with an ISO: 9001:2015 certificate for Manufacturing of Investment Casting and its Machined Components. Its manufacturing facility is situated at Shapar (Veraval), Rajkot, Gujarat, India. Captain Technocast manufactures and supplies a diverse range of casting including Automotives Casting, Defense Casting, Industrial Valves Casting, Turbine Blades Casting, Industrial Process Pumps Casting, Power Plant Boiler Parts Casting, Aerospace Casting, Earth Moving Machinery Casting, Engineering & Automation Casting, Fire Fighting Equipments Casting, Structural Hardwares Casting and Marine Applications Casting etc. Its development process includes design, development, validation, testing, manufacturing, delivery and aftermarket sale service for a wide range of technology-intensive auto component products. The company regularly works directly with customers, helping to design, innovative and cost-effective solutions. In this way, it acts as a partner as well as a supplier to its customers. 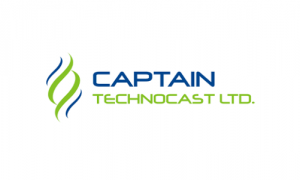 Captain Technocast IPO allotment status is now available on Bigshare Services' website. Click on this link to get allotment status.